When studio executives are asked “Who’s the world’s biggest movie star?” it’s a near certainty that Tom Cruise springs to mind. Hollywood may gawk at the latest supernovas to light the sky, but Cruise remains constant as the North Star, a solid fixture in Los Angeles’s ever-shifting firmament.1 Casting may be one of Hollywood’s darkest arts — the pitiless battlefield on which agents, execs, and filmmakers vie for control of a film’s soul — but anyone who hopes for blockbuster success will always keep Tom Cruise on their list. Not that you’re going to get him. He is, after all, Tom Cruise. And yet, someone does. Someone has to. Because Cruise always makes more movies. But how do you catch the eye of a megastar, one surrounded by an elite team of agents, publicists, and consultants, who has the full catalogue of Hollywood passion projects spread before him in Borgesian completeness? “You know, as the bard said, the play’s the thing,” veteran producer Marshall Herskovitz says. “It’s all about the script.” Marshall says that’s how he and Ed Zwick lured Tom Cruise onboard The Last Samurai. “He sparked to it. I will never forget the first time we went to his house and he already had a stack of books — at least 50 — on samurai culture, samurai history, Japanese history.” And, Herskovitz continues, once Cruise was engaged, the subsequent development process was surprisingly obstacle-free. Of course, there are huge prerequisites before one can enjoy that refreshing honesty. First, your script has to be read by his team at CAA. And for CAA to take your script seriously, it helps to have an esteemed producer attached who will give it credibility, such as, say, Marshall Herskovitz, president emeritus of the Producers Guild. You don’t need $20 million — at least not right away — but you do need a hot commodity, a property that will move the needle in the press and at the box office. Fame is worth far more than cash in hand for any old role. 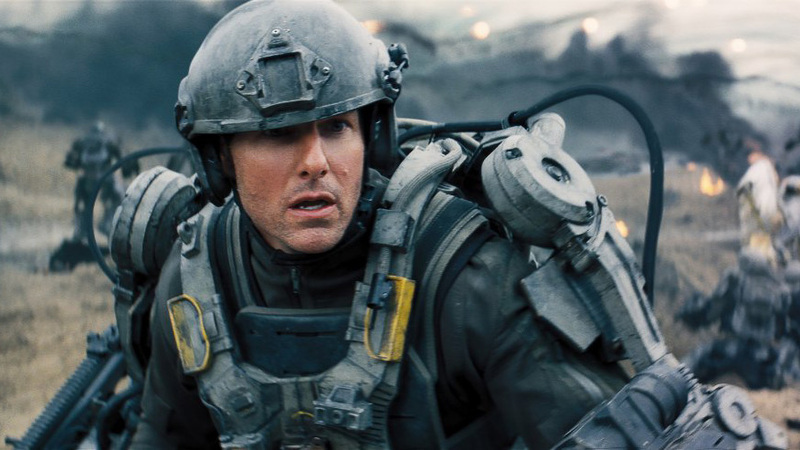 It’s a resource that must be constantly renewed, and Tom Cruise, of all people, knows that. Another lesson: Liman helped. Over the course of his career, Cruise has assiduously sought out directors at the top of their game, whether that’s Stanley Kubrick with Eyes Wide Shut, Michael Mann in Collateral, or Paul Thomas Anderson for Magnolia.2 Even when Cruise worked with relative newcomers, they were folks like Christopher McQuarrie — who won a screenplay Oscar for The Usual Suspects — or Joe Kosinski, whose debut, Tron: Legacy, was a $170 million tentpole that grossed $400 million worldwide. Still, it all sounds way too simple: great script, great director. What do those two things mean for Cruise? As Stoff pointed out, few over the course of their careers have picked winners as consistently and intelligently — Cruise and his team must “know it when they see it.” But what is it, exactly? If anyone has that feel for “it,” it would be James L. Brooks, the Oscar-winning, Emmy-winning writer-director-producer responsible for classics ranging from The Simpsons to Terms of Endearment. He also produced Cameron Crowe’s Jerry Maguire, a bright landmark in both Cruise and Crowe’s filmography, the movie that very well might define our collective image of the mature movie star. A real voice. As constant as Cruise’s screen persona has been, each of his roles employs that persona in vastly different ways: a sports agent who sees the light; a nihilist Western samurai beaten into redemption; an over-the-top Hollywood producer without apology; a cool-edged precision villain who never relents; a cowardly military flack who ends up saving the world despite himself. Even the Mission: Impossible franchise, the one true through line of Cruise’s career these past two decades, seems to reboot itself, with every fresh installment molded around the latest top-shelf director’s predilections. Ultimately, no one can really know what’s going to connect with Cruise or what kind of role he will be looking to do next. But maybe what calls to him for any given project is exactly that strong sense of voice and clarity of vision shared by filmmakers as disparate as Mann and Crowe. What has allowed Cruise (and his team) to pick so many winners is the recognition that distinctive projects with a wholly unique point of view are the best way to refresh and keep relevant one’s screen persona. In the end, it seems, the best way to hunt Hollywood’s biggest white whale isn’t to scour the waters where he’s already been, but to head out toward those horizons he has yet to discover. If you want to ding Cruise for his recent string of films that didn’t break $100 million domestic, look up their global grosses — Hollywood’s true bottom line. Except for Rock of Ages and Lions for Lambs, they all made at least $200 million worldwide. For Cruise Week completists, Amy Nicholson’s in-depth look at the story behind Magnolia gives a close look at how Cruise seeks out brilliant partners.